Created Monday, 16 March, 2009 . This a book cover for prof. dr. Simona Dziţac. The original title, in Romanian, is "Fiabilitatea şi disponibilitatea sistemelor de distribuţie a energiei electrice. Modelare şi simulare." (in English: "The reliability and the availability of the distribution systems of electrical energy"). I used a few energy related symbols in the images. On both covers, I tried conveying the idea of electric pulses traveling through a vast network. On the back, I made multiple reoccurring sinusoidal shapes to remind viewers about mathematics and electricity related scientific concepts. The green color suggests green energy, renewable energy resources. 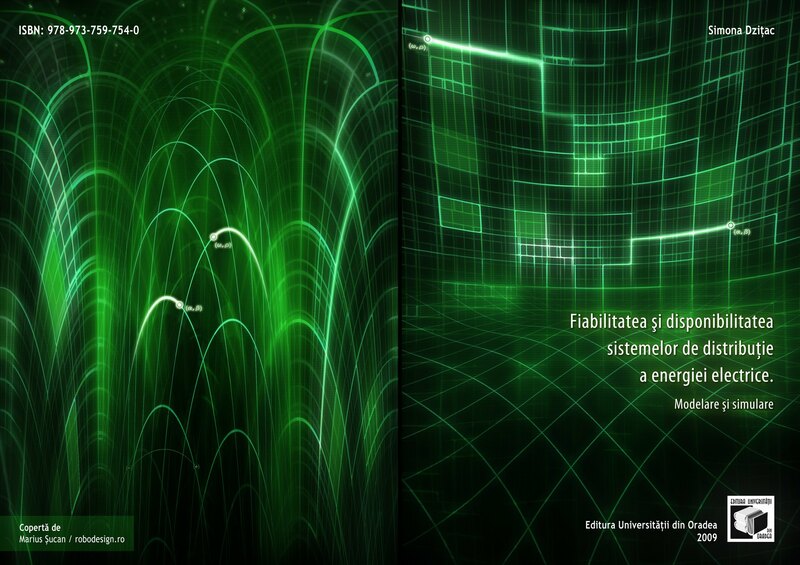 Tags: 2009, book covers, electricity, green, romanian.